After receiving an overwhelming number of contributions for our upcoming vodka issue, SB has assembled a preview of April’s cocktail analysis with comment from 10 of the industry’s leading bartenders. Besides, that I am surprised, that for once I found an article which looks contemporary (in content and layout - Bravo IBA! ), I also asked myself, what is my (revised?) opinion about vodka. Look I am the first. 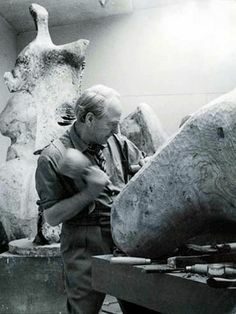 A sculptor usually approaches the object with the theory, that the sculpture is in the "base material" and just needs to be uncovered. A painter is rather really voicing his inner-self on canvas. I do believe, that the base spirit is the most essential thing in a cocktail. Everything else is just slightly modifying its character, and "unearth" hidden qualities (if you are doing it right). In the case of vodka, it is analog to an artificial material, without its own "grown" inconsistencies. Hence for me, vodka cocktails are usually no sculptures but rather "reproductions" (to keep on the same analogies). However people, who are seeing a cocktail as a "painting" obviously might even prefer vodka, because it is the said clear canvas - lets face it - a canvas is also not a white copy paper, but has also some inconsistencies... but they are far less, than wood or stone or similar things, a sculptor is working with. At the end there is no right or wrong. But I find the sculptor approach far more sustainable and consistent.